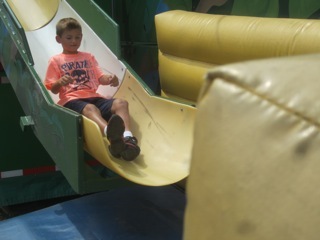 As the summer draws to a close in the Hudson Valley, the number of events in the area that one can attend multiplies rapidly. One can’t possibly scratch the surface and go to the majority, though many try. Last weekend I went to three very different, very fun events that represent this wide variety of activities. Friday evening I attended Shift, a play written and directed by Cait Johnson. It was produced at Rokeby, one of the area’s storied estates. 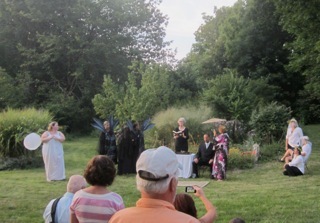 The performance, which incorporated elements of Shakespeare, Mythology, Shamanism, Three Moons, with a Geisha and Joan of Arc thrown in for good measure, was a series composed of a series of scenes, each performed at a different spot on the property. 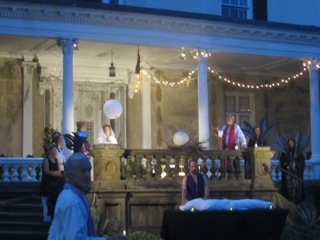 Beginning at the front steps of the mansion, the audience was led to each vignette by the performers and musicians, ending back where we started for the final scene. Themes of birth, life death, renewal and change were addressed at the different stations along the way, with the audience invited to participate with lighting of candles and blowing their sorrows into the stones they held into their hands. 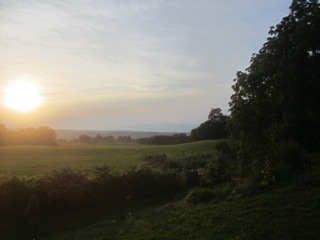 This all took place against the backdrop of the distant mountains and the magical Hudson valley light, which shifted from the strong golden glow of the day’s end to the darkening grey shades of dusk. I am hard pressed to accurately review what I saw, and am not sure if I actually shifted, but definitely felt something afterwards. The next morning my family arrived at my house for our annual visit to the Duchess County fair. The lyricism of the night before gave way to a cacophony of sights, sounds, and smells unique to this annual event. 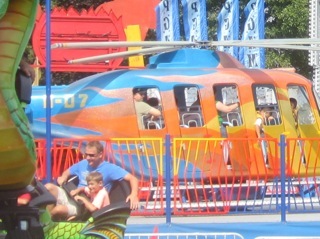 My nephew and niece kept us moving from ride to ride, through lurid colors, bright lights bells buzzers and competing music on the midway. We checked out the agriculture tent after that (learning the pregnant cow was still two to four hours from delivery time was my sole disappointment of the day), went to watch some of the horse show, and stopped in at the talent tent so the kids could bop along a bit with the band who was performing. In between were requisite stops for funnel cake, lemonade, pizza and ice cream. It was a long, hot day and the over-stimulation of our various senses left us tired but satisfied as always at the end of the afternoon. Saturday evening ended with a friend’s 50th birthday celebration. 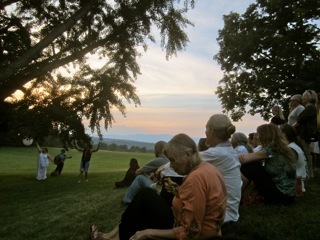 This was held at Wilderstein, a historic estate overlooking the Hudson now open to the public. 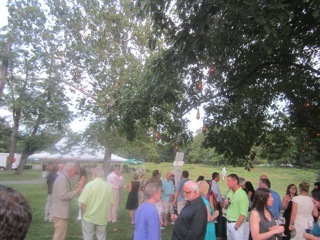 The party began cocktails on the lawn after the house and grounds had closed for the day. 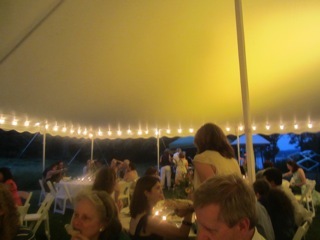 As the sun set, dinner was served under a tent which was followed by dancing under a disco ball hung from the ceiling of the mansions porte cochere. 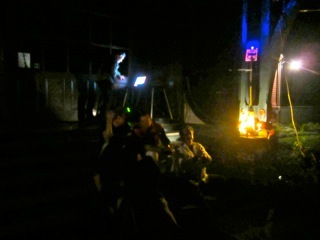 The fun music and general festive atmosphere kept me up way past my usual bed time. It was a great mix of friends some stretching back twenty years, and newer acquaintances, all there to celebrate a great and generous person, Chris Lipscomb. Sunday was a day of recovery. Also it provided an opportunity to give thanks to whatever force in the universe that led me to such a great corner of the world!